A restorative therapy that uses smooth stones and gentle heat. Hot stone massage is an indulgent form of relaxation that incorporates smooth stones heated in water. These stones are placed along pressure points along the body. The penetrative heat affects the deep layers of tissue for a revitalising experience. Hot stone massage is an ancient practice derived from traditional Chinese medicine. In the modern age, we often use heat to alleviate pain and discomfort, usually associated with cramps or other muscle afflictions. Hot stone massage therapy is a favourite wellness treatment for people around the globe. Ideal for a balanced mind and body. Ideal for deep relaxation and relief. Pricing includes travel, massage table, towels/sheets, stones, heating equipment and professional full body massage, and may vary depending on location type and hour of day. Hot stone massage uses smooth, weighted stones heated in water. 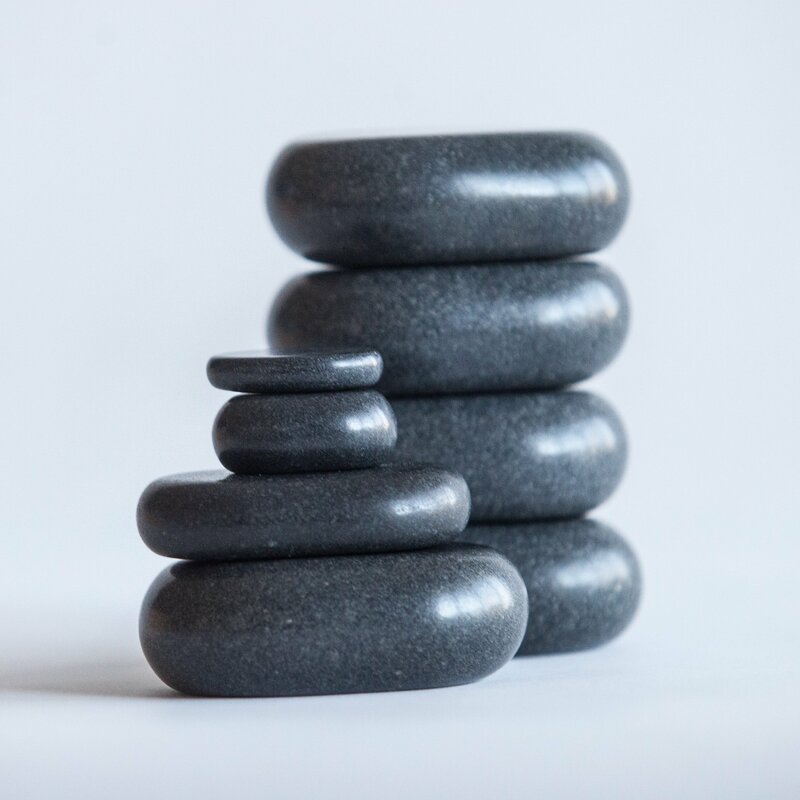 Your Blys massage therapist will generally use 8 stones, which are placed along the length of the body at certain pressure points. These pressure points are strategically chosen by your massage therapist to address particularly painful, stressed or tense areas in your body. Hot stone massage is deeply restorative and revitalising for the mind and body. It is a perfectly indulgent relaxation experience. The weighted stones provide pressure to certain parts of the body that require attention. The heat from the stones penetrates into the deeper layers of skin and fascia, providing a unique relaxation experience. The heat is able to soothe stress and tension, encouraging your body to relax elementally. Heat is a form of natural pain relief and essentially unwinds tight muscle fibres to ensure muscular relief. What should I look for in a hot stone massage therapist? Hot stone massage is a specialised form of massage that requires a trained professional to perform. Every Blys therapist has – at minimum – a Certificate III qualification. You will always be paired with a Blys therapist who specialises in hot stone massage upon booking. Who would benefit from a hot stone massage? Hot stone massage is an excellent form of muscular relief. It is especially good for anyone who experiences lower back pain, back pain, shoulder and neck pain. Hot stone massage is a preferred modality from those who suffer from chronic pain afflictions like fibromyalgia, arthritis and scoliosis-related pain. The heat of the stones is ideal for muscle pain, back spasms and cramps. As hot stone massage is deeply relaxing, it is also an excellent therapy for those who experience intense stress, or even insomnia. Who should not get a hot stone massage? If you are highly sensitive to heat then this may not be the therapy for you; your massage therapist will always ensure that your stones are at an appropriate temperature to affect change in the body, although each person’s heat receptors are different. Hot stone massage should not be performed on anyone with open wounds. If you have recently undergone surgery or had an injury, speak with your health care professional. As with any physical therapy, you should always consult your health care professional before engaging in new therapies. How should I prepare for my hot stone massage? Please ensure that your hot stone massage therapist has access to a supply of hot water and a powerpoint. Ideally, have a full kettle boiled and ready prior to your massage therapist arrival as this will reduce set-up time and ensure you get the most from your hot stone massage. As this therapy uses heat, ensure that you are well hydrated, and continue to drink water after your massage. We recommend eating something small no less than two hours prior to your massage. Your therapist will always strive to make you feel as secure, safe and comfortable as possible while they are in your home. Feel free to communicate openly with them – they are a professional! Your massage therapist will likely ask for a history of your health conditions to ascertain how best to address them. A massage table is used during hot stone massage and you will generally be lying prone (face-down). Hot stones are generally heated to between 40-60 degrees Celcius. Your hot stone massage therapist will always ensure that the stones are an adequate, safe temperature to use on your body. A hot stone massage should never burn you or cause pain of any kind; there should be just enough heat to affect the deep muscle layers and provide ultimate relaxation. How shall I feel after a hot stone massage? The effects of a hot stone massage are generally felt straight away as heat is retained in the muscles for some time. Tension, stiffness and pain are melted away by the luxurious heat. Hot stone massage is incredibly relaxing, so expect to excuse yourself quickly to slide straight into a hot bath or even into bed. What are the potential benefits of hot stone massage? Hot stone massage improves mobility and provides an immmunity boost. Pressure points are affected by the stones as the heat penetrates into the deep layers of muscle and fascia. 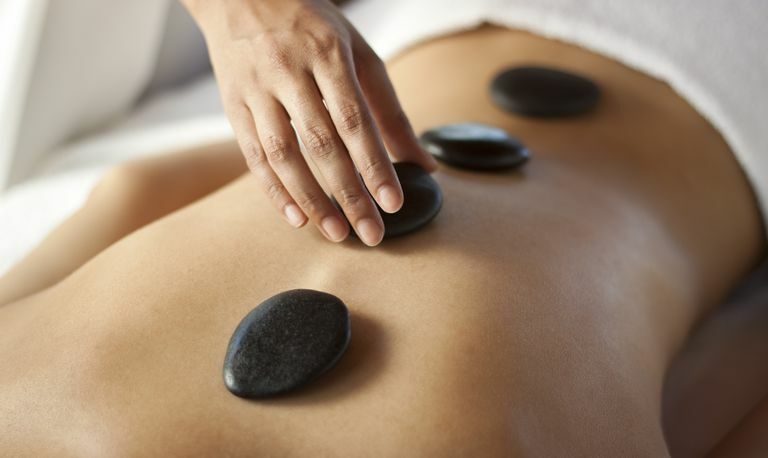 Along with the hot stones, your massage therapist will use a series of regular massage techniques, including strokes and kneading. Hot stone massage is great for any kind of physical pain, especially muscular. It also alleviates strain in the joints, particularly in the lower back, spine and neck. Hot stone massages have been reported to assist in autoimmune disease symptoms, which coincides with the boost to the immune system. Stress, anxiety, tiredness and lethargy can also benefit from a hot stone massage. Can I get a hot stone massage near me? You sure can! To book your next hot stone massage at home, head to the Blys website or download the app and have a professional therapist delivered directly to you.